Since joining Lufthansa Airlines in 2000, Christian Popp has substantially influenced the airline’s overall commercial approach and specifically shaped the transformation process towards dynamic offer design and interactive distribution. Christian, holding degrees in mathematical economics and international management, started at Lufthansa Airlines with migrating the Network and Revenue Management processes to market oriented optimization. After management positions in the areas of IT and Corporate Audit, he returned to the commercial arena in 2011. Since then he shaped Lufthansa Airline’s commercial strategy with specific focus on the direct customer/supplier-interaction in the digital age. Christian initiated multi-year strategic programs to transform the Revenue Management towards Dynamic Offering, Distribution towards NDC adoption and established Payment as core commercial discipline. With negotiating Content Freedom, introducing the Distribution cost compensation and implementing NDC capable channels Christian was a substantial driver of Lufthansa’s leading role in disrupting and re-shaping the travel distribution industry. 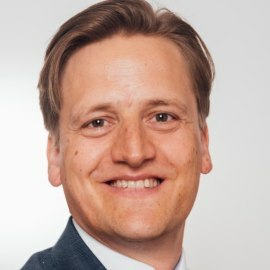 Since 2016 Christian is responsible for Distribution & Revenue Management Strategy and Business Analytics for the Lufthansa Group Hub Airlines as well as designing the overall Commercial Strategy. Together with his across locations team he is outlining the strategic path, initiating and managing the corresponding project portfolio and directing the commercial measures by analytical business insights for the commercial functions of the Lufthansa Group Hub Airlines.